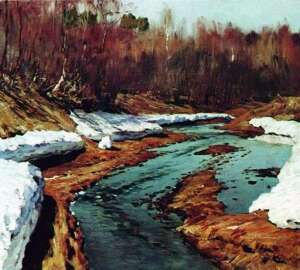 Mountains and rivers have always been distinguished by beautiful and picturesque nooks that so attracted artists. 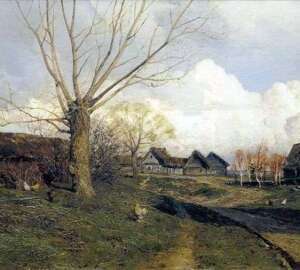 Levitan I. I. also not accidentally chose a similar area for writing his work. 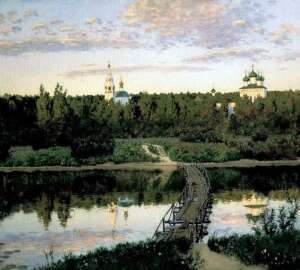 Isaac Levitan is a Russian artist who received recognition during his lifetime, which speaks of the outstanding talent of the painter, who masterfully depicts the exceptional beauty of Russian nature. 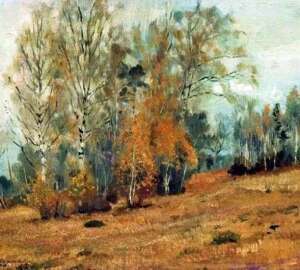 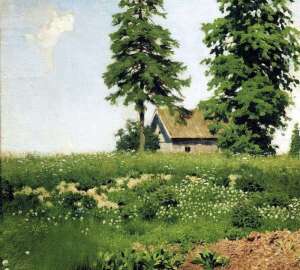 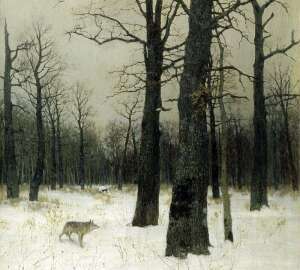 The painting depicts Levitan’s familiar light forest landscape: nature, forest is a familiar image from childhood. 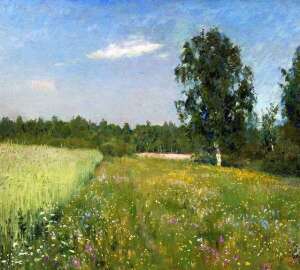 So the author tried to convey the joy of the triumphant nature of summer. 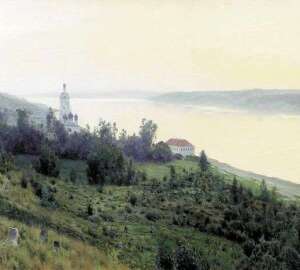 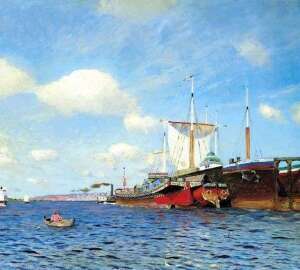 In the picture, the author depicted the slope of the Volga bank, illuminated by golden sunshine. 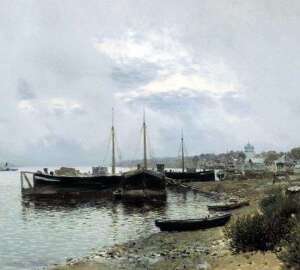 The viewer is given a small coastal town. 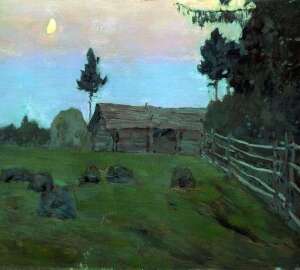 On the canvas painted sunset summer.